For my first encoded map I used the picture of the ATEC building map. Most people could not figure out how the class numbers and sections were created. 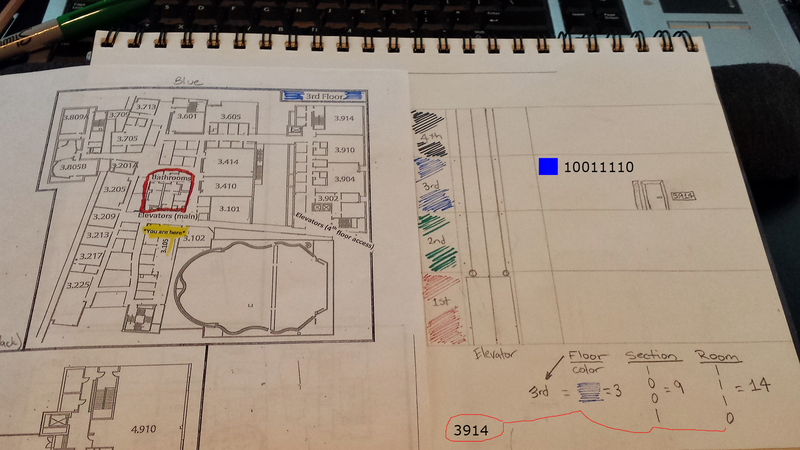 So this gave me an idea to color code the floor and convert the section and room into binary base 2 code. This picture was taken on campus ATEC building section 9 room 14 of the 3rd floor.